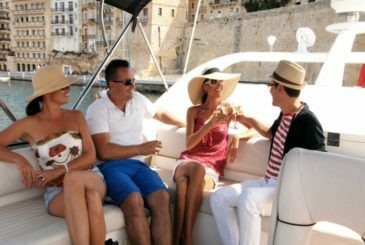 Azure Ultra is your gateway to exploring the islands of Malta, Sicily, Lampedusa, Ischia and the wider Mediterranean in the luxurious comfort of your private Sunseeker. Based in the Maltese Islands, Azure Ultra is Europe’s leading luxury yacht holiday provider. Covering a range of destinations and delivering five-star service aboard our fully crewed motor yacht fleet, we will cater for your private yacht charter in the Mediterranean to perfection. 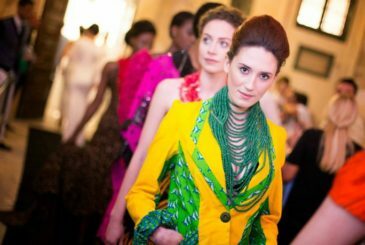 Specialised in tailoring programmes and itineraries to guests’ individual requirements, at Azure Ultra we are renowned for creating Mediterranean crewed charter experiences that exceed expectations every time. 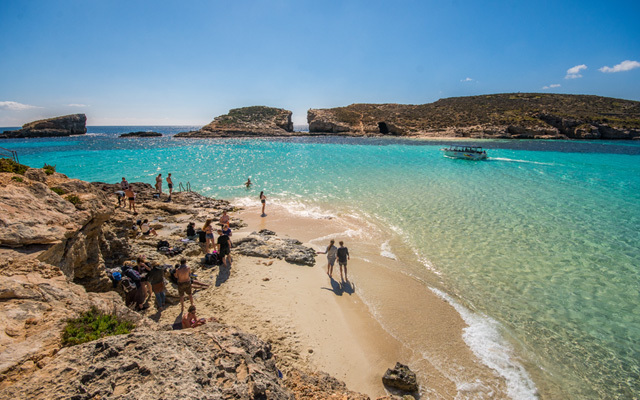 Located right at the heart of the Mediterranean Sea, the sister islands of Malta, Gozo and Comino are a thriving holiday destination all year round. Blessed with over 300 days of sunshine, they are home to award-winning beaches, sparkling azure waters and a unique heritage. 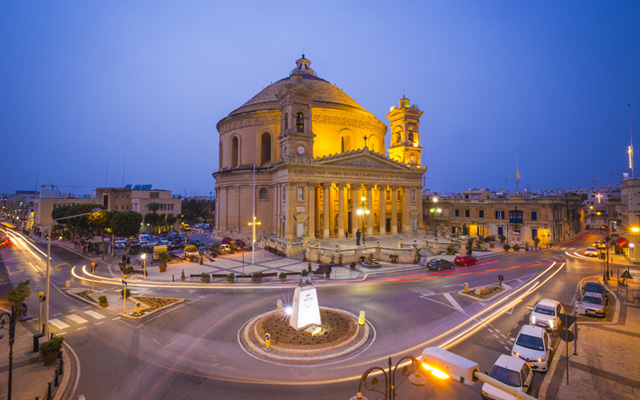 The Maltese archipelago offers holidaymakers vast opportunities for an intimate acquaintance with its natural beauty, historical wealth and vibrant cultural calendar. 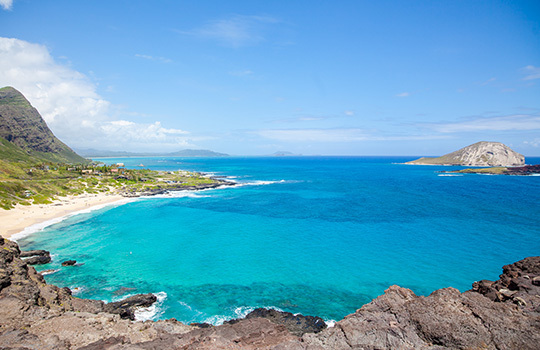 Allow yourself to be pampered as you explore breathtaking Mediterranean locations. Step aboard one of our stylish Sunseekers, and let us take you there. 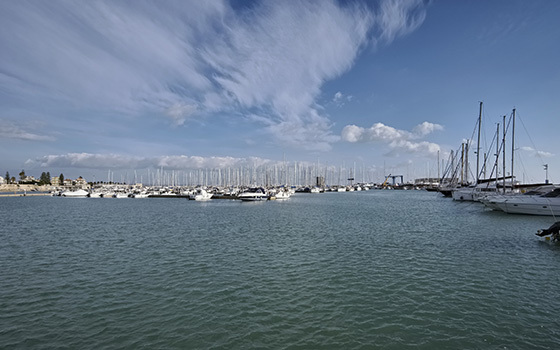 At the south-eastern tip of Sicily and just over 50 nautical miles from Malta, the port town of Marina di Ragusa overlooks the Mediterranean, its golden strand stretching for miles. 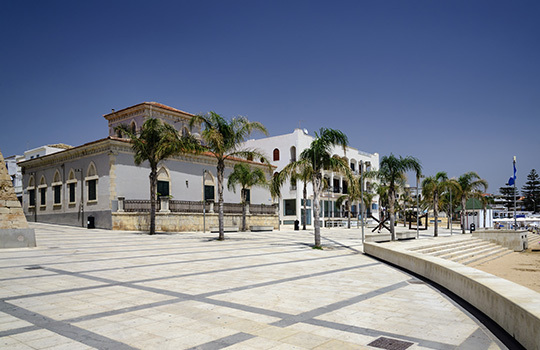 Inland, the historical centre is laden with a rich legacy of baroque palazzi, archaeological finds and cultural attractions, while further along the coast are secluded bays nestled into an unspoilt landscape. 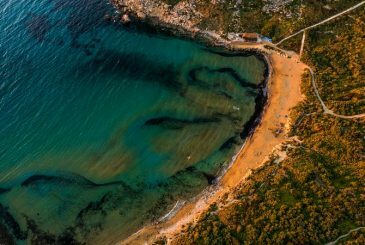 Swim in the crystal clear water and sunbathe on the popular Blue Flag beach of Marina di Ragusa. Set off on a walking tour around Ragusa Ibla’s 14 Unesco World Heritage buildings, collectively located within an area of less than one square kilometre. Make a stop at the distinct Piazza Duomo – the core of the historic town centre – to savour the exquisite Ragusan culinary tradition. 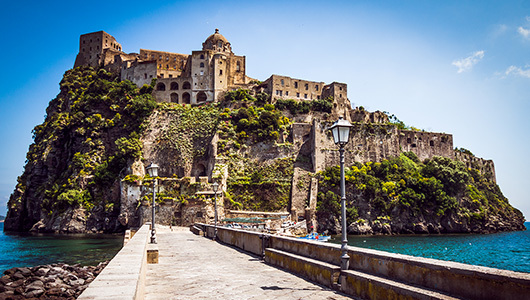 Ischia may be remembered for its brightly painted fishing boats and pastel-coloured beachside houses, but it is the diverse landscape and lush natural beauty that gave it the name of “green island”. This largest of the volcanic islands to be found in the Gulf of Naples is known for its ancient thermal hot springs, still active to this very day. 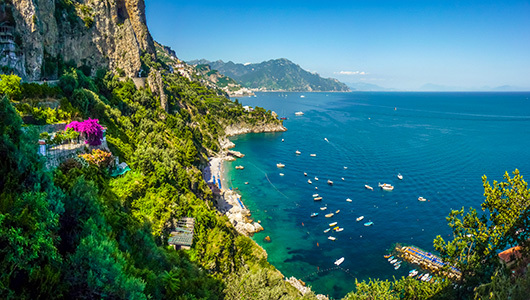 Explore the Spiaggia dei Pescatori among other immaculate sandy beaches dotting the scenic coastline. Sample fresh fish and seafood cuisine accompanied by authentic Iocal wines. 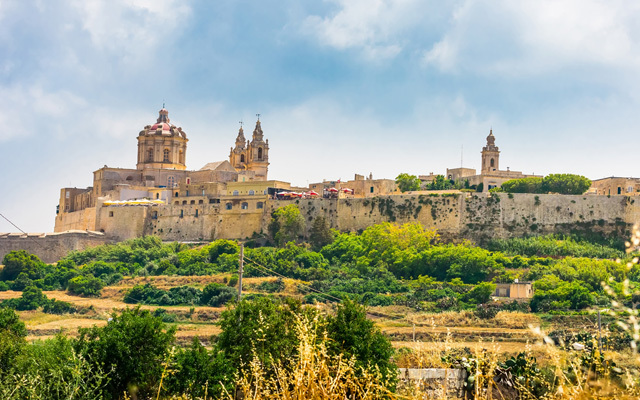 Visit the enchanting medieval Aragonese Castle situated just across the main island. 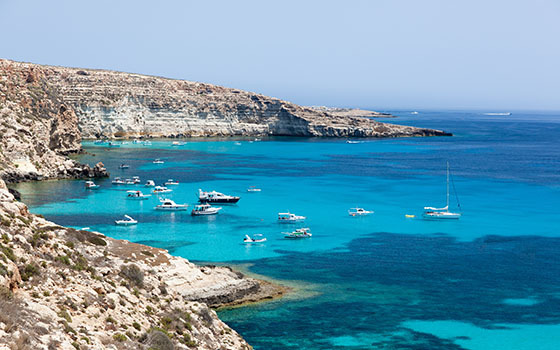 Lampedusa is the largest of three islands forming the Pelagian archipelago, situated to the south of Sicily. An 11-kilometre stretch of white sand along the southern coast of this popular summer holiday destination is surrounded by aquamarine waters, offering ample opportunities for diving, snorkelling, or simply soaking up the Mediterranean sun. Snorkel over a colourful sea bed of coral, sponges and oysters; make time for a priceless dolphin, bird or turtle watching experience. Bathe in the turquoise-coloured sea of Spiaggia dei Conigli, or Rabbit Beach – reputed to be the most beautiful bay in the Mediterranean and a protected natural habitat for nesting loggerhead sea turtles. Journey back in time while exploring the island’s archaeological remains dating back to Greek, Roman and Phoenician civilisation.